Maharashtra Chief Minister Devendra Fadnavis visited the site of building collapse in Mumbai's Ghatkopar on late Tuesday evening and directed the Brihanmumbai Municipal Corporation (BMC) to file a report on the incident within 15 days. "The offence has been registered. Police is investigating the matter. 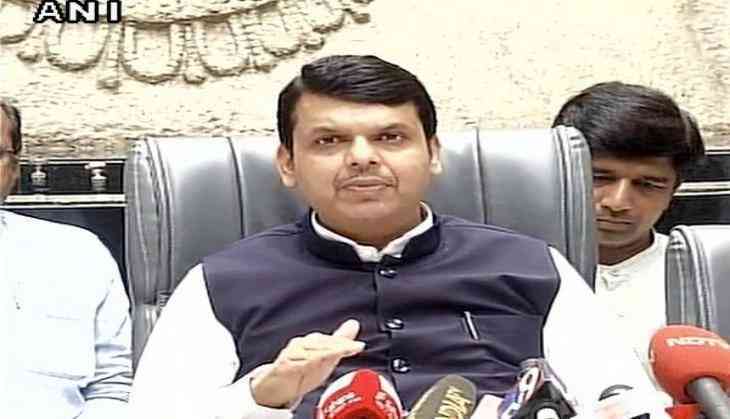 I have directed the BMC Commissioner to investigate and submit a report within 15 days," Fadnavis told the media. The Chief Minister further said that the Government will take a stringent action against the culprits. Meanwhile, Shiv Sena leader Sunil Shitap, who was earlier being held responsible for Ghatkopar building collapse, has now been booked for culpable homicide. Joint Commissioner of Police (Law and Order) Deven Bharti has confirmed with ANI that Shitap has been detained by the Mumbai Police and is being questioned. "Prima facie, it is revealed that the accused was carrying out illegal renovation in the building. At this juncture, it will not be appropriate to give other details as investigation is underway and available information needs verification," he said. The residents of the four-storey building that collapsed earlier today in Mumbai's Ghatkopar had alleged that the mishap took place because of the renovation work being carried out at the first floor. The renovation work was undertaken on ground floor nursing home reportedly owned by the Shiv Sena leader. Meanwhile, the Mumbai Police has confirmed that 19 people have been extracted till now. The police said that until seven in the evening, nineteen people were extracted, out of which nine have been declared dead. Out of the nine dead, seven are women and two are children, one female and one male.